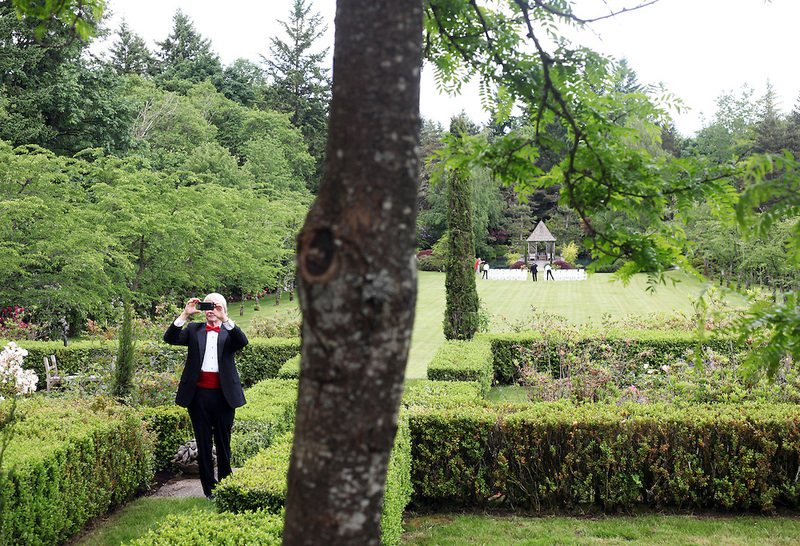 The gardens are photographed before Nancy Coffey and F. Timothy Nagler are married at Duckridge Farm in Portland, Ore., Saturday, June 2, 2012...The bride, 66, is a Senior Vice President with The Corcoran Group in New York. She graduated from Stanford and received a M.S. in Engineering from Stanford. She is a daughter of Joan Moore of Montecito, Ca., and the late Arthur J. Coffey, a custom home builder and developer in Palm Springs, Ca., where she grew up...The bridegroom, 65, is the president and owner of Jungclaus-Campbell Co., Inc., an Indianapolis industrial general contractor founded in 1875. He graduated from Carleton College and received a M.A. in English from the University of Virginia.He is the son of Ruth E. and Louis G. Nagler of Amery, Wisconsin. His father was a lawyer, his mother a homemaker.